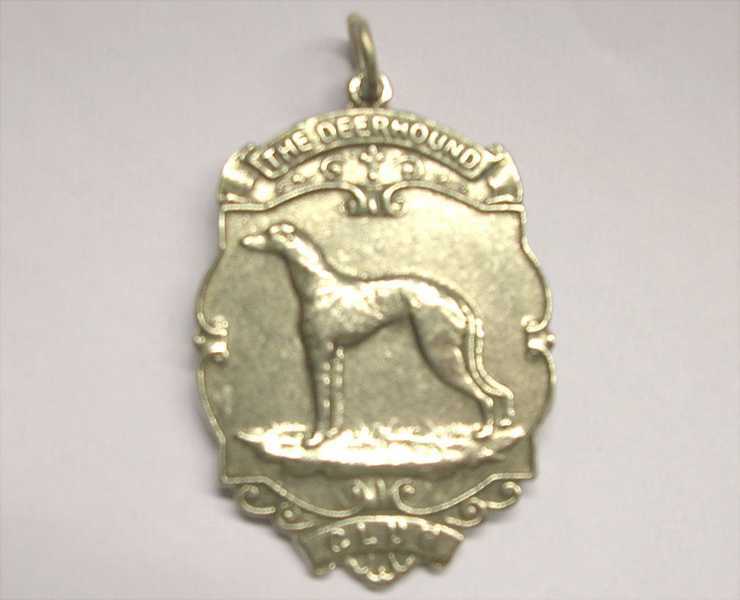 This is a Humpty Dumpty Dog Coin with a Deerhound motive from my collection. 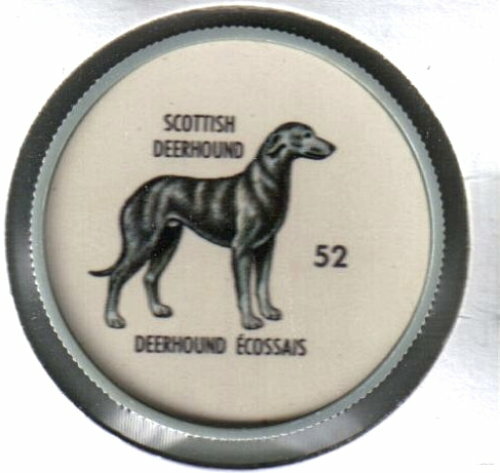 This is one of a set of 60 dog breeds coins inserted into bags of Humpty Dumpty Potato Chips in the early 1960's in Canada. Fascinating Jeorg. First I've heard of these coins, although I've munched a bag or two of Humpty Dumpty chips in my time. Thanks for sharing your collections. They're really interesting. Nice little art gems. BTW your greenhouse photos inspired me to turn on the heated seedbeds in my own greenhouse and get planting! I even washed down all the windows so they sparkle. It's so nice and peaceful in a greenhouse. Best greetings to Bramble from Yoki. Yoki had yesterday unearth a branch of a tree with pine cone in the new snow. Congratulations - Canada was the best team by the Olympic Games in Vancouver. The Olympic Games was wonderful and very intresting. Thank you for your informations to the Humpty Dumpty Dog Coins. Yoki still seeking the spring. The weather forecast say - winter temperature to end of March. Very good news from your greenhouse. 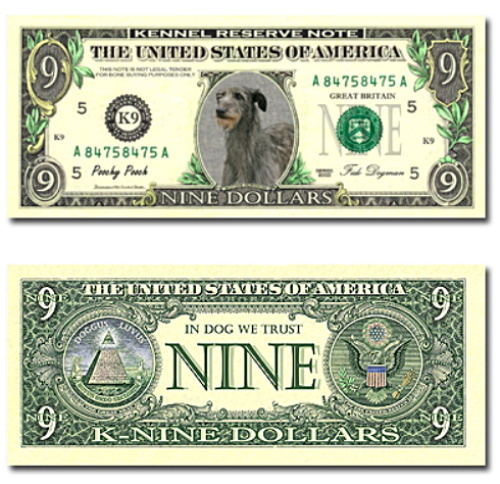 It is not a coin, it is a note with a Deerhound of the new world currency. I have this note from an US Ebay dealer. Dont suppose your dealer wants to print me some real ones? 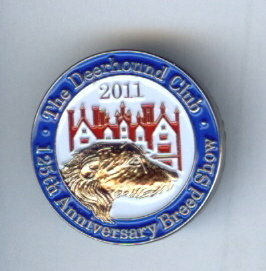 I have received the very nice badges "125th Anniversary Breed Show - The Deerhound Club 2011" for my collection. Many thanks on Sid, Vanessa and Hazel for the help. 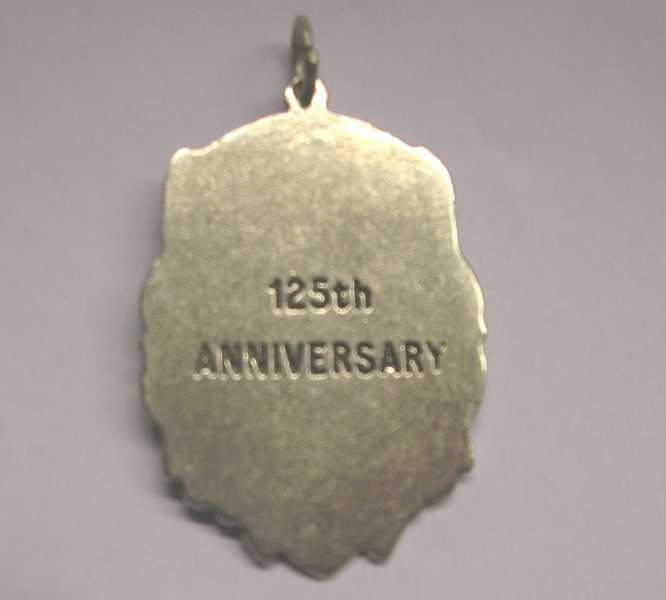 This is a metal medal with the deerhound on the front and 125th Anniversay wording on the back. I have received the medal from Sue( Spring) as present for my collection. Many, many thanks to Sue. I'm very happy about this collector item.